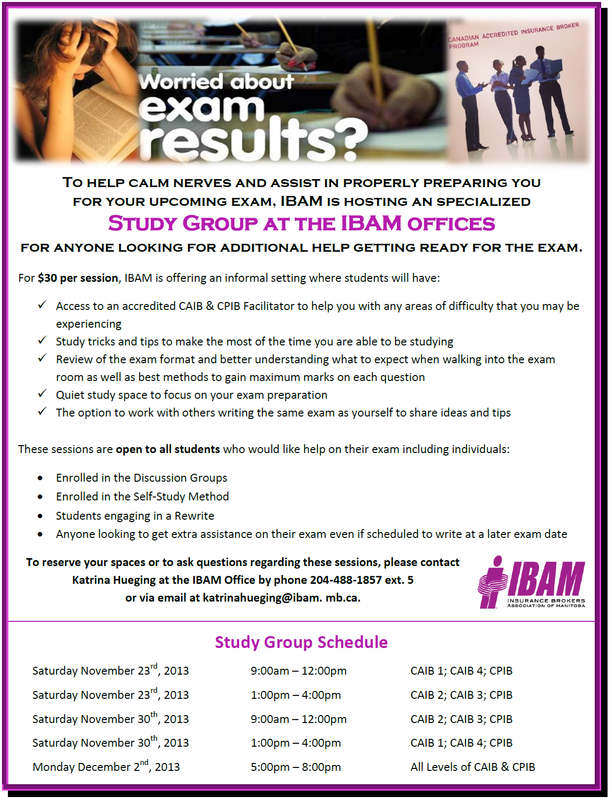 CAIB Study Tip #4 – Can you Say the Answer Out Loud? When studying for an exam, we all tend to read something and think “I totally understand that concept.” Two minutes later however, when someone asks you to explain it to them, you are struggling to find the words to get the message across. I see this problem all the time when marking exams. In insurance, you probably know what a deductible is but can you quickly write out a proper definition of it? Sometimes it can feel like you mind is pulling an absolute blank on an easy question. To help combat this, study while talking aloud. You may look silly to anyone around you but by needing to find the words and say them out loud, you are prompting your brain to make associations with the idea you are trying to learn as well as the words needed to write the concept down on the exam. If you find yourself struggling with finding the words when you are writing the exam, a fallback idea is to use an example. This will allow you to explain a situation and, while it may not hit on all of the key points a marker is looking for, it can at least lead to part marks which can easily make the difference between a pass or a fail.